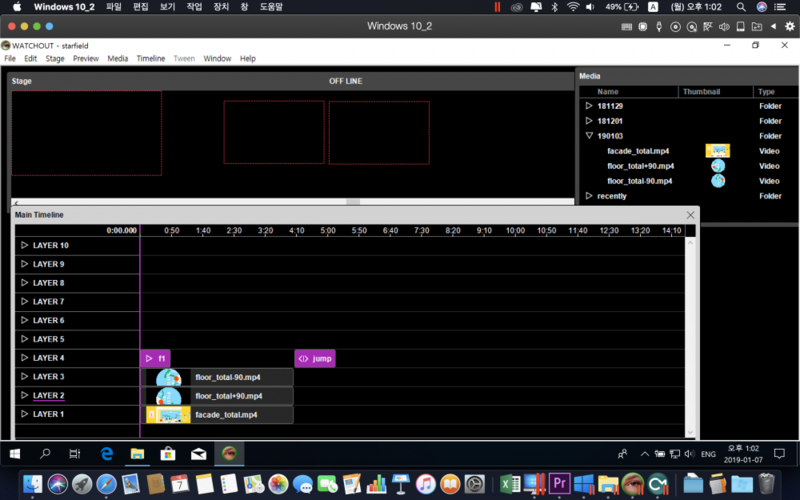 I'm using Watchout in Parallels Desktop of MacBook Pro. Please help me! I need your advise. the only error of interest is the first one. The others may be a result of the first. All of those errors are from the display computer. Is your "Watchout in Parallels Desktop of MacBook Pro" the display computer or the production computer? also - WATCHOUT Version? Windows Version? That computer is production computer. WATCHOUT Version is 6.2.2 and Windows Version is Win10. Ok, but all of your errors are from the Display Computer, not your Production computer. So your MacBook production computer running windows under Parallels is not the concern. Since the errors are indication the Display Computer may have crashed, have you checked the error logs on your Display Computer?